California was the first state in the nation to legalize medical marijuana. This occurred in 1996. Since that time, more than half of the states in the U.S. have either legalized medical marijuana or recreational use of marijuana. California is one of the states that has also legalized recreational use of marijuana. However, this new legalized status does not mean users can expect leniency in all situations, including at work or on the road. Even though marijuana use and possession is permitted, there are still many legal issues that are very much up in the air, and these laws in flux can make things very difficult for those in the marijuana industry, as well as patients and recreational users of marijuana.Things may get even more complex if the new attorney general follows through on this claims that he will have the U.S. Drug Enforcement Administration (DEA) crack down on the recreational sale of marijuana, even in areas where it is legal under state law. The reason he may be able to this is because cannabis remains a schedule one controlled substance under the U.S. Controlled Substances Act of 1970 (USCA). However, there are some regulations in Congress that make it difficult to crack down on state legal medical marijuana, so it is best to speak with an experienced Los Angeles medical marijuana attorney to see how these changes may pertain to your business. One area that is becoming even more controversial is the issue of driving under the influence of marijuana. While it may seem like there wouldn’t be much controversy over driving while high, as it turns out, things are not so cut and dry. The reason for this is because it is very difficult to tell if someone is actually under the influence of marijuana at the time they were driving. 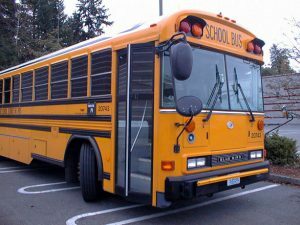 According to a recent news article from New York Daily News, a school bus driver in Massachusetts was arrested for operating a commercial motor vehicle (school bus) while under the influence of marijuana. The high school students he was transporting allegedly said they smelled marijuana and told a teacher. The police were called, and he was arrested for operating under the influence of drugs. It should be noted that he has pleaded not guilty and is presumed innocent unless and until he is proven guilty beyond a reasonable doubt. There are tests of blood or urine that can determine if a person has the metabolites for cannabis in his or her system, but it will not find the presence of active THC. In fact, the metabolites can stay present in a person’s urine for weeks after using the drug, as many people who have ever faced a drug test are aware.